Evelyn Hardcastle’s parents throw her a gala party in celebration of her return home from Paris. However, towards the end of the evening, Evelyn is killed and her murderer is nowhere to be found. Aiden is tasked with uncovering the mystery surrounding her murder but his means of doing so are quite unconventional. Every day, Aiden will wake up in the body of a different party guest, repeating the same day until the murder is solved. By seeing the day over again via various perspectives, Aiden needs to gather as much information as he can, since there is far more to Evelyn’s murder than what meets the eye. Should he not solve the mystery soon, there are far more serious consequences in store for Aiden himself. Upon reading the synopsis of this book, I immediately thought of my favourite board game – Cluedo. Cluedo is one of the most iconic board games and has intrigued fans of mystery and whodunnit plot-lines for years. Possibly seeing something similar to it in a book sounded like a tumultuous yet entertaining read. Unfortunately, The Seven Deaths of Evelyn Hardcastle was only the former of these two expectations. “Tumultuous” is putting it lightly. It breaks my heart to say this but this novel is an absolute mess. One of the main reasons for this is that Turton spreads himself too thin. There is so much going on in this story and as soon as you are about to connect with a character or understand the various events occurring, the narrative moves on to something completely different. The many characters blur into and become cookie-cutter versions of one other. The main mystery of Evelyn Hardcastle’s murder often takes the backseat and other mysteries are brought in that are completely unrelated and unnecessary. In addition to these, there are many objects and interactions deemed significant yet this made it difficult to keep up with the story and, by the end of the novel, their importance was not made clear. I could go on about this forever, but my main issue ultimately came down to two words: too much. Another problem that came up as a result of this issue was the fact that it felt like no progress was being made in solving the mystery throughout the novel and thus the ending felt rushed and disjointed from the trajectory that the story seemed to be heading in. Whilst the ending was unpredictable, it failed to clarify the preceding events of the novel. Turton provides almost no clarity and took me down the rabbit hole for over 450 pages with absolutely nothing to grab onto. Reading this novel felt like a neverending freefall and, by the end of it, I felt exhausted and overwhelmed by all of the information that the author kept throwing in my face. The erratic timeline also completely threw the novel off. Instead of following Aiden as he occupies one perspective for an entire day and then moving on to a new one the next day, the reader sees him as one guest for about two hours and then the narrative shifts to another day and time without warning. This entire process is not only jarring to read but also incredibly frustrating because it adds to the ever-present confusion caused by the other aspects of the novel and doesn’t give the reader a chance to fully grasp the story and solve the mystery alongside Aiden. The timeline and lack of clarity throughout the novel only brought it down even further. Despite how I felt whilst reading this novel, I didn’t think that a 1-star rating was fair. This is mainly due to how much I enjoyed Turton’s style of writing and originality. 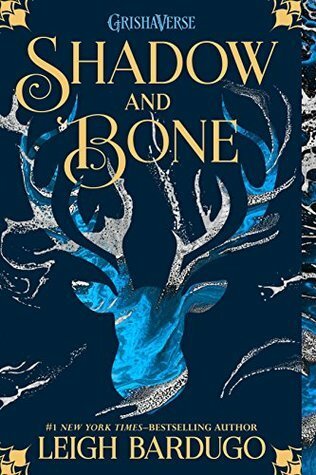 Whilst the content itself was confusing and quite jarring to read, Turton can still write quite well, especially considering that this is his debut novel. His trouble lies in making his ideas cohesive and knowing where to set the limit in terms of complexity. The concept of the plot is also compelling yet Turton does not execute it as well as he could have. Simply editing the timeline of events to be linear would have given much more clarity to the story. Unfortunately, the writing and originality of the plot are where my enjoyment of this book came to an end. 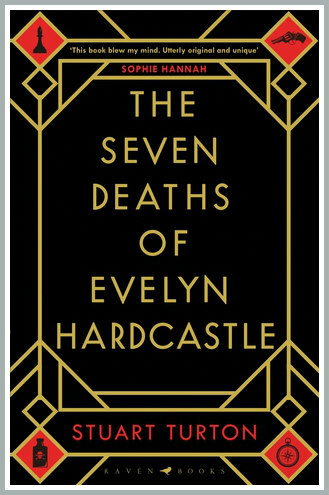 It is extremely rare for me to give a book anything less than three stars and I tried incredibly hard to find something in The Seven Deaths of Evelyn Hardcastle to prevent me from giving it just that. However, this novel has very little to redeem it for me. The confusion and frustration that the story ignited in me made this an uncomfortable and awkward reading experience from beginning to end. There is too much content and not enough substance and the author leads the reader down a neverending path that ends in a dull and disappointing ending. Unfortunately, Turton’s debut novel was the worst book I have read this year. HAVE YOU READ THE SEVEN DEATHS OF EVELYN HARDCASTLE? WHAT DID YOU THINK? COMMENT DOWN BELOW AND LET’S CHAT ABOUT IT! 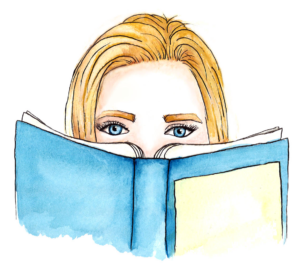 Sounds like a hit or miss for this debut novel. Though if you enjoy Turton’s style of writing, I’m positive that the next work might make up for the poor performance of this book. You’re right, maybe I should give him another chance in the future! Thanks!